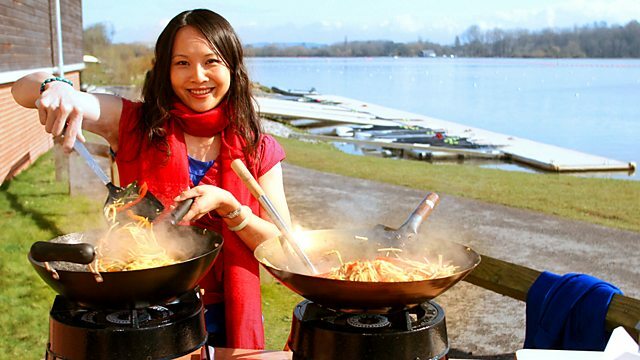 Heat a wok until smoking and add the groundnut oil, then add the garlic and chilli and stir fry for a few seconds. Add the prawns, rice wine and lime juice and stir fry for 2-3 minutes, or until the prawns start to turn pink. 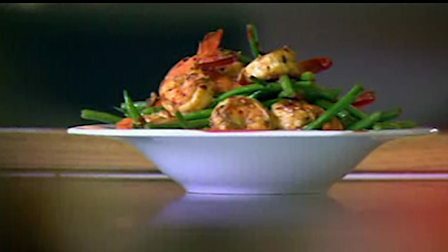 Add the French beans and stir fry for another 2-3 minutes, or until the prawns are cooked through. Season, to taste, with the salt and chilli flakes. Pile the chilli prawns onto a serving plate and serve immediately.